This afternoon I had the chance to watch Armando Galarraga go up against the Pittsburgh Pirates at Comerica Park, home of the Detroit Tigers. This was my first opportunity to see the Detroit Tigers pitcher live since his eventful, near perfect game ten days ago. Watching him on the mound, I kept thinking how graceful he acted following the perfect game that was taken from him by an umpire's mistake and how other professional athletes might have reacted (or over-reacted) in the same situation. There is no comparison between a baseball game and the nation’s worst environmental disaster, but there is a lesson to be learned from how Jim Joyce and Armando Galarraga handled what was, in their world, an epic event. Be honest, admit mistakes, and keep moving. That is perhaps the only way to cope with tragedy of any scale. 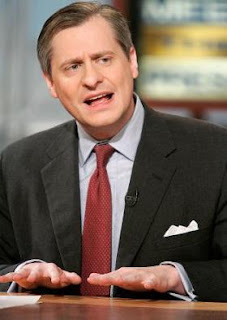 Thank you Jon Meacham for helping me get started on my Yom Kippur sermon for this year. The comparison of Jim Joyce's ability to admit error and apologize with BP's series of gaffes in the gulf and lack of contrition sets the tone for a day of self-discovery and repentance. I'll be using it as well, but I am thinking of Erev Rosh Hashanah. I am going to say that if I had the power that Bud Selig has, I would have overturned the call. In part, I would have done it because Galarraga did in fact pitch a perfect game and deserves to have it recognized, but even more for the sake of Jim Joyce, so his career does not have to be defined by its worst moment. The Yamim Noraim are about the same thing—helping us to transcend our worst and rise to something better.